Mouth cancer is now the 10th most common cancer in men, new figures show. In 2012, around 7,300 people in the UK were diagnosed with oral cancer, which is linked to smoking, drinking and poor diet. Twice as many men (4,900) as women (2,400) were diagnosed, largely down to the fact they tend to smoke more, according to Cancer Research UK. 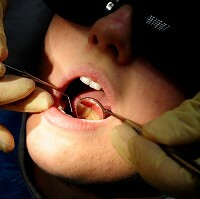 Data shows there were 12 cases of oral cancer per 100,000 people in 2012, up from nine per 100,000 in 2002. Around 2,300 people in the UK die every year from oral cancer. Caught early enough, however, it can be treated successfully, and many cancer patients in remission can resume normal activities and enjoy a holiday thanks to cancer travel insurance . Types of oral cancer include cancer of the lips, tongue, mouth (gums and palate), tonsils and the middle part of the throat (oropharynx). Around 65% of cases are linked to smoking, while other possible factors include the sexually-transmitted human papilloma virus (HPV), alcohol, and a diet low in fruit and vegetables. Dr Richard Roope, Cancer Research UK's lead GP, expressed concern that oral cancer cases continue to climb and have now broken into the top 10 most common cancers in men, especially as the majority are preventable. The combination of tobacco, drinking alcohol and HPV provides a "toxic cocktail" that has led to the rising tide of cancers, he says. If oral cancer is found at a late stage, treatment options are more likely to be limited, with long-lasting side-effects and poor chances of survival. However, if mouth cancer is spotted early, survival rates can reach 90%, according to Professor Damien Walmsley, chief scientific adviser to the British Dental Association. Cancer Research UK is launching a new toolkit for dentists and GPs to help spot the disease earlier.